What are Namecoins and .bit domains? One digital currency that you might not have heard of is Namecoin. It is based on exactly the same code as Bitcoin. In fact, the two currencies are almost identical. However, in the same way that Bitcoin is a decentralised currency that cannot be shut down; Namecoin is the basis for a decentralised domain name system (DNS), i.e. web URLs, which could put a stop to Internet censorship. What is the DNS system? While we’re all used to typing text addresses into our browser and email programs, such as coindesk.com, the Internet doesn’t run on text. The Internet actually works on numerical addresses called IP addresses, just in the same way we dial telephone numbers. The problem is that numbers are not easy to remember. Therefore, an Internet wide address book, called the Domain Name System (DNS), was created to make navigation much easier. Every time you type an address into your browser, your computer or mobile device is actually querying a DNS server. It has to ask for the IP address of the destination server before it can retrieve any data for you. For example, typing “google.com” into your browser will trigger your computer to check its DNS server for Google’s IP address. The DNS server will return a number like 173.194.70.113. The very last part of a domain, e.g. .com, is called a top-level domain (TLD). TLDs are controlled by central authorities. For example, the .com TLD is controlled by ICANN in the United States. These central authorities allow third party companies, known as registrars, to deal with accepting domain name orders and customer service. Whenever anyone has a complaint with a website, the central authority for its TLD has the ultimate say on what happens to it. In most real world cases, lawyers, copyright holders, etc., will simply contact the domain’s registrar. However, the potential for commands from a central authority should be of concern to groups who will suffer due to censorship. A decentralised DNS system means that TLDs can exist which are not owned by anyone, and the DNS lookup tables are shared on a peer-to-peer system. As long as there are volunteers running the customised DNS server software for the rest of us, then we can always access any alternative domains. Short of seizing the physical servers, authorities cannot impose rules to affect the operation of a peer-to-peer top level domain. What does this have to do with crypto-currency? The model of Bitcoin involves a peer-to-peer system where participants are continuously validating a series of transactions without any central control. That model was directly applied to the domain name system by modifying the bitcoin protocol and the result was called Namecoin (NMC). In particular, a new genesis block was created, so that a whole new block chain would be created. This ensures that Namecoin and Bitcoin do not interact or interfere with each other. 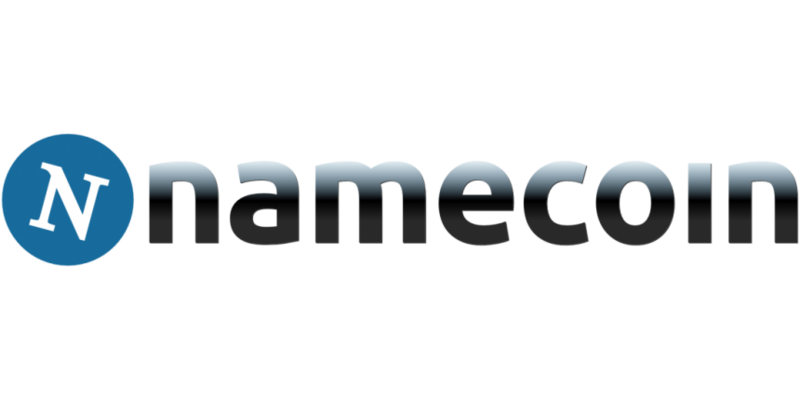 Secondly, the developers of Namecoin created several transaction types to reflect the needs of a new domain name system. Because of the shared heritage, there will only ever by 21 million Namecoins created, and 50 coins are generated for each solved block of crypto problems. .bit is the first and only TLD of the so-called Domain 2.0 namespace. The actions necessary to register a new domain or to update an existing one are built into the Namecoin protocol by means of the new transaction types mentioned above. name_new – Registration cost 0.01 NMC. This constitutes a fixed cost pre-order of a domain. name_firstupdate – Registration cost 0 NMC. Registers a domain making it publically visible, subject to variable costs (price calculator). name_update – Registration cost 0 NMC. This is used for updating, renewing or transferring a domain. All NMC transactions are subject to a 0.005NMC fee. Even though the Namecoin system effectively makes you into your own domain registrar, there are some registration services out there, who offer to handle the registration for you and take payment in BTC. Additionally, they offer services such as an (easier) interface to modify domain details and to automatically renew. Namecoin.com claims to have registered at least 450 domains. According to the Bitcoin Contact website, there is a grand total of 77,000 registered .bit domains (full list here). That’s all well and good, but because they are not part of the standard domain name system, you can’t just type, e.g., wikileaks.bit into your browser and expect to see a website. Fortunately, there are .bit web proxy servers that will correctly handle your DNS requests in a browser. To make the process even easier, there are extensions, via Namecoin.com, for Firefox and Chrome. How can Namecoin and Bitcoin complement each other? While the two digital currencies do not interact, they do rely on exactly the same set of mathematical problems. Therefore, the same hardware used to mine bitcoins can be used to mine Namecoins. Furthermore, there is process called merged mining, in which a mining machine is configured to query both block chains whenever it comes up with a possible solution to the cryptographic problems. The Dot-bit wiki describes this as entering two lotteries with the same ticket to increase the odds of winning. The chances are that 99% of the people reading this do not need to create a .bit website or service. However, information is power as the saying goes, and so it is important that you have the capability to access websites and email addresses on the .bit namespace. Yes, this technology can be abused just like anything else, and so it’s even more imperative that we all have the capability to view the .bit namespace so that we’re aware of the good and the bad. More important than anything else, however, is that the ability to view .bit websites means attempts to silence those with a legitimate message will have less of a chance of succeeding.